It will hurt… a lot. You should know that on the front end. Nobody gave Jeff Judkins the warning. Then again, the Fort Washakie Elementary School teacher hadn’t expected to finish his day dangling 80 feet below a helicopter. When he rolled out of Jackson in the predawn darkness of June 20, 2013, he thought he was just going climbing. Pretty routine, that. Judkins, then 38, had been scaling mountains for nearly 20 years. 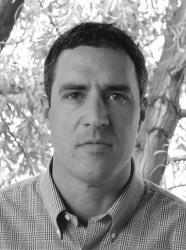 He’d worked as a rock climbing and mountaineering instructor for the National Outdoor Leadership School. He and his climbing partner, Exum guide Brian Smith, had made innumerable forays into the Tetons together, and returned safely from each. They were experienced enough climbers to both respect, and feel confident managing, the significant risks of their pursuit. But mountains are capricious. Spend enough time crawling around their flanks and sooner or later you’ll wind up too close to their fangs. You may, for example, discover a moment too late that what appeared to be clean, unbroken cliff-face, is actually a refrigerator-sized block of granite waiting to fall. If that happens and you come-to, bloodied and disoriented, 20 feet below your last known location, be sure to croak “Yes,” to the panicked “Are you okay?” yelled from below. Because, what your belayer really wants to know is are you alive. You can parse the finer points of “okay,” later. You’ve got work to do first. Like assessing your gear. If, by some miracle, your belay system survived the tons of falling rock, ask your partner to lower you to his ledge, asap. There you can do a more thorough injury assessment (a shattered right heel, and broken left kneecap in Judkins’ case) and start to formulate a plan. Get off Mount Owen should be the gist of it. With a thousand vertical feet of cliff below you, though, that won’t be so simple. Try a test run. If the 40 foot traverse to a better rappel station requires 20 minutes of immeasurable pain, it’s time to consider plan B… a rescue. Make the call yourself. Be prepared to propose a course of action. Provided you have phone service, favorable weather, and a Jenny Lake Rangers team that’s not otherwise occupied, you may hear the “whump, whump, whump” of an approaching helicopter inside of 20 minutes. Short haul extractions, like the one seen here, can happen very quickly when conditions allow. Jeff Judkins, who sustained serious leg injuries in a climbing fall high on Mount Owen around 2:30 p.m. on June 20, 2013, was back at his truck, with his climbing partner Brian Smith, by 5 p.m. Smith then drove him to the St. John’s Medical Center emergency room for treatment. 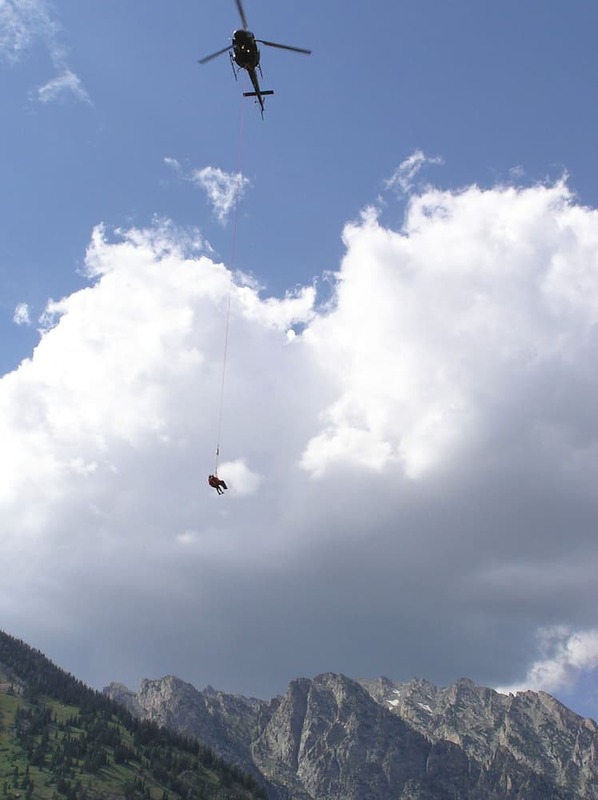 It will seem surreal as the chopper eases in beside you at 11,000 feet. Even more so as the pilot hovers close enough to maintain eye contact and a rescuer communicates with body language. Don’t panic when they peel away. Your phone will ring momentarily with word that, as you suggested, the ledge below you will suffice for an extraction. They’ll drop two rangers there in 15 minutes. 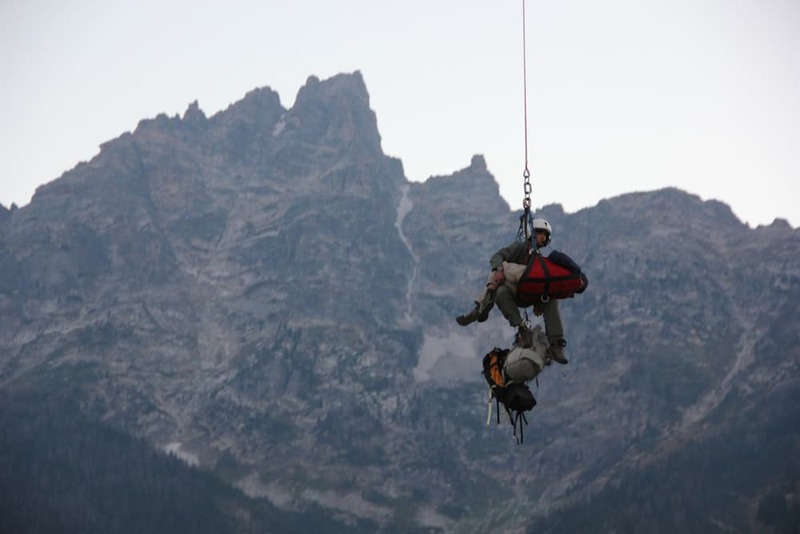 Two rangers will be hanging by a long rope from the belly of the helicopter when it returns. The pilot will place them on the narrow cliffside ledge as gracefully as a waiter presenting dessert. Now there are four lives on the wall and no time to waste. Slide onto the unfurled “screamer suit”. A ranger will assemble the fabric sling around you, then tether the contraption, and himself, to the waiting rope. Half a heartbeat later you will levitate away from the cliff and into open space. You’ll be flying. Your mind will reel. The cocktail of and fear and adrenaline, pain and relief will be too much to swallow. And all of it will drown in bone-deep awe of the view — a literal vision of the mountains’ might and your own fragility. Which, ironically, is an oversized dose of what you went looking for in the first place.